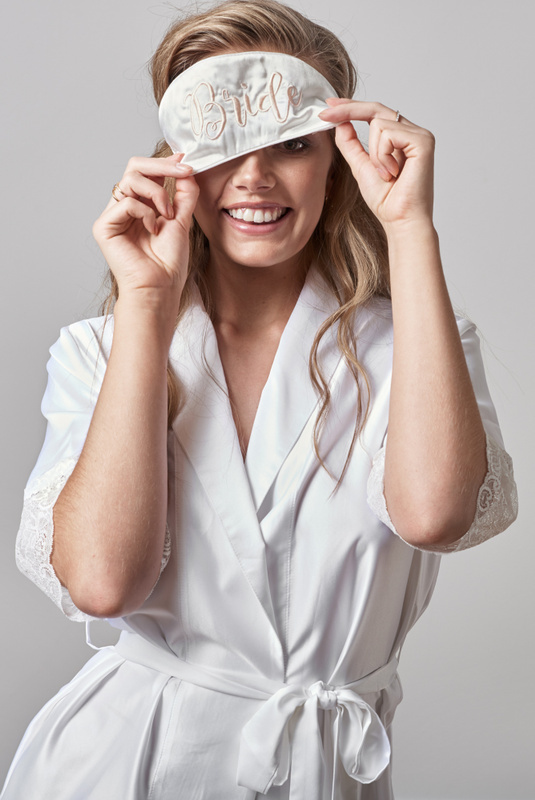 Our Lilly robe is the perfect way to get your special day started. Super soft with beautiful lace trim on the sleeves, it is the most fashionable way to get that bride spirit going. Match it with our Bride eye mask and you are all set. Have fun getting ready for your big day in style.